Plant a tree in memory of Lenthal "Len"
Be the first to share your favorite memory, photo or story of Lenthal "Len". This memorial page is dedicated for family, friends and future generations to celebrate the life of their loved one. Len, 70, passed away at home after a long battle with Cancer on March 3, 2019. Len was born in Tillamook County Hospital, October 19, 1948. He was raised in Cloverdale, Oregon on the family dairy farm until his father’s death in a car accident when he was 13. He and his mother moved to Corvallis, OR where he graduated from Corvallis High School in 1966. He enlisted in the Army July 27, 1967. He served in Vietnam, Air Cavalry Division, and he separated July 1, 1970. October 19, 1971, Pacific Power hired him as a Meter Reader in Junction City, OR. He quickly progressed to Truck Driver in Portland, Apprentice Lineman in Walla Walla, Journeyman Lineman in Corvallis, OR, Serviceman in Dayton, WA, Crew Foreman in Walla Walla, Asst. Manager, Service Center in Klamath Falls, OR, Manager, Service Center in Worland, WY, and Manager, Service Center, in Walla Walla. After 34.5 years with Pacific Power, he retired in January of 2005. Then after retirement he worked High Line Construction as a Senior Field Specialist. He also worked at the Prescott Park & Rec and volunteered in community projects. 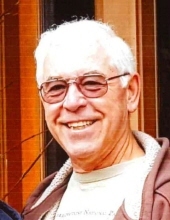 Len also had many interests/hobbies: rafting NW Rivers for 36 yrs, softball league, water/snow skiing, boating/fishing, excellent wine maker/taster, golf, RV travel, woodwork, carpentry, snowmobiles, landscaper, road trips, Baja vacations and backyard barbeques. Most all of these activities were done with his wife and soul mate Sandra of 42+ years. He met Sandra J Marr via blind date in Walla Walla, June 1974, married July 3, 1976, in the Rose Garden at Pioneer Park and the adventure began. He was also a member of the Walla Walla Elks #287, Prescott Lions Club and Good Sam. Len was a knowledgeable and talented man with an unwavering moral compass in all his endeavors and who was greatly loved and will be missed very much by his friends and family. He is survived by his wife Sandra, daughter Kimberly Jo (Dave) Schneider, sister, Linda (Jim) Glawe, sister, Mathyl Stalp, four grandchildren, and one great-granddaughter. Len will be laid to rest with his father, Lenthal Homer Conlee, in the Willamette National Military Cemetery, Portland, OR. A Celebration of Life is planned for a later date in Prescott, WA. Please make any contribution to Walla Walla Hospice or Prescott Lions Club through Mountain View-Colonial DeWitt funeral home, 1551 The Dalles Military Road, Walla Walla, WA 99362. We thank Dr. Bob Stoddard & staff and Walla Walla Hospice for all their thoughtful caring. To plant a tree in memory of Lenthal "Len" J. Conlee, please visit our Tribute Store. "Email Address" would like to share the life celebration of Lenthal "Len" J. Conlee. Click on the "link" to go to share a favorite memory or leave a condolence message for the family.